This is like having an extra set of hands in the kitchen! This hands-free bag holder adjusts to fit most bags, and holds it open and steady while you fill it up. When you’re finished, it folds up for easy storage. 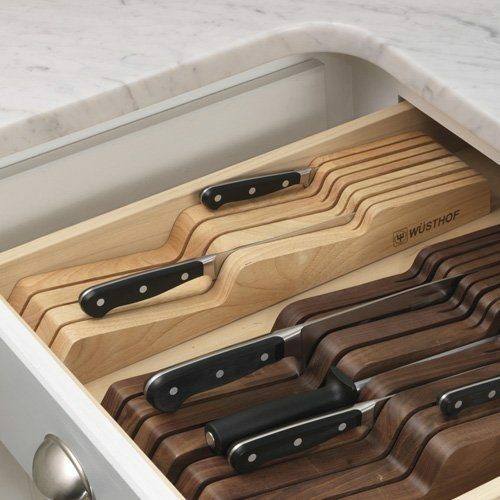 Keep your knives organized and out of site with a knife organizer and storage tray that fits perfectly in a drawer. It’s certainly a creative solution if you don’t have a lot of counter space! Just slide this bag-resealer across the top of an open bag to lock in freshness! It has a magnet on the back so you can keep it handy on your refrigerator. 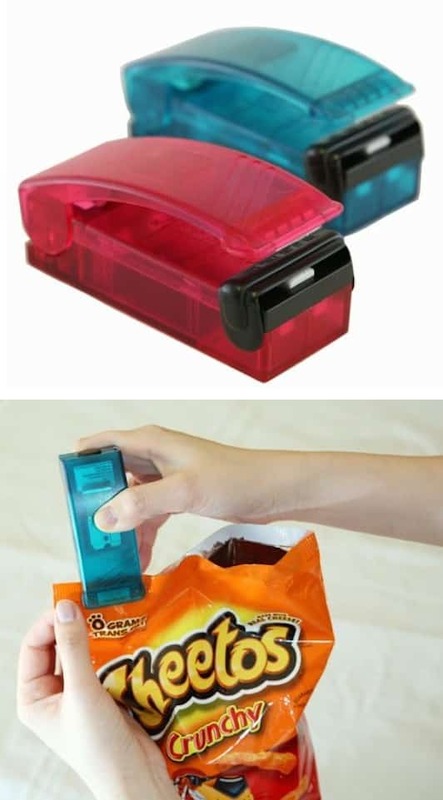 No more shuffling through your junk drawer to find a bag clip.